Later today, I’ll be going to a Twins vs. Yankees game, enjoying a dinner of pizza and beer, and watching fireworks. What could be more American than that, you ask? It’s possible that you would like some context. I am from a small town in southwestern Minnesota, and like all small towns in southwestern Minnesota, mine celebrates its heritage every summer. We have a parade, a street dance, flea markets and games. We used to have a Junior Miss pageant that was exactly like the movie Drop Dead Gorgeous, minus the murdering, but sadly no longer. In DDG, the theme of the pageant always incorporates America (“Amer-I CAN! Proud to be an American! Buy American!”). In my hometown, the theme of the entire celebration incorporates our town’s key crop: the Sugar Beet. Look, anything can seem normal when you’re raised with it, including a week of celebrating beets, okay? The pageant was always my favorite part as a kid. 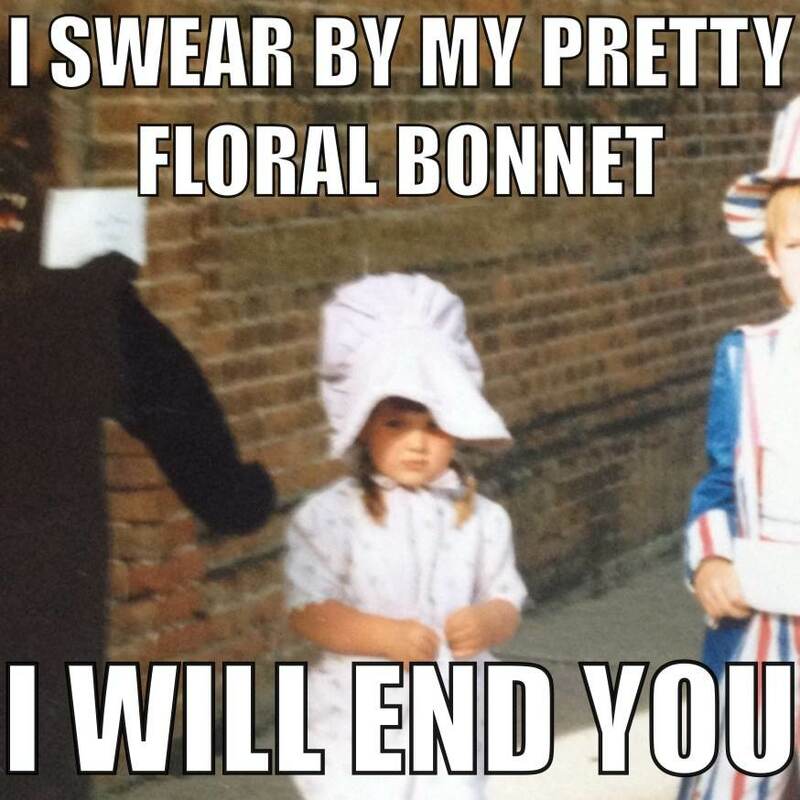 But my second favorite part was the kiddie parade. It’s exactly what it sounds like: all the kids in town are woken up early, dressed in costumes made by their aunts or mothers, and encouraged to walk down Main Street carrying signs incorporating puns on the word beet. Then they turn around and walk back up Main Street because it’s only about a block long. The whole thing takes about 15 minutes and is a general confusion of cuteness and tantrums. It actually just occurred to me this morning that the Pioneer Spirit might not be a real character. Google seems to think the Pioneer Spirit is a bunch of buffaloes, not a four-year-old in an over-sized bonnet and what appear to be tap shoes. My mom made it up just to give me a reason to walk down the street with my brother. Again – anything can seem normal when you’re raised with it. Anyway, I think we came in second that year, between Mr. and Mrs. Sugar Beet (who still haunt my dreams) and the three little pigs (who were the other kids who showed up). The kiddie parade still goes on when there are enough kids to participate. 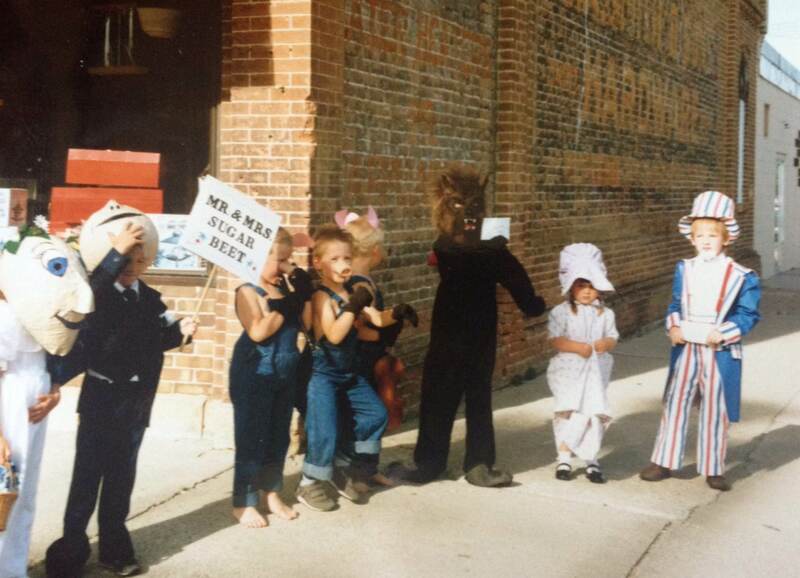 The Uncle Sam costume (made by my aunt) actually made its third appearance a few years ago on another generation of my family and once again took home a prize. What I’m trying to say is that my hometown is weird in the way that all small American towns are weird. Nothing ever really changes, and that’s comforting. I biked every street within that one-square mile. I swam in that town pool a thousand times, then walked to the Malt Shoppe or the pharmacy to spend my twenty-five cents on candy. I didn’t worry about politics, or war, or whether or not I’d be allowed back in to school in the fall because I was a girl. And of course my school would still be there, and no one would stop me from going to church every week, and there would always be food in the fridge and I’d always be safe and happy and free. Anything can seem normal when you’re raised with it. Happy birthday, America. You are weird and flawed and my home. Thank you for my happy childhood. Well, mostly happy childhood. I think I was pretty over the parade scene by this point.